Niseko Snow Report, 19 December 2017. It's a snorkel day … like a full you will go under, snow in your underpants day. 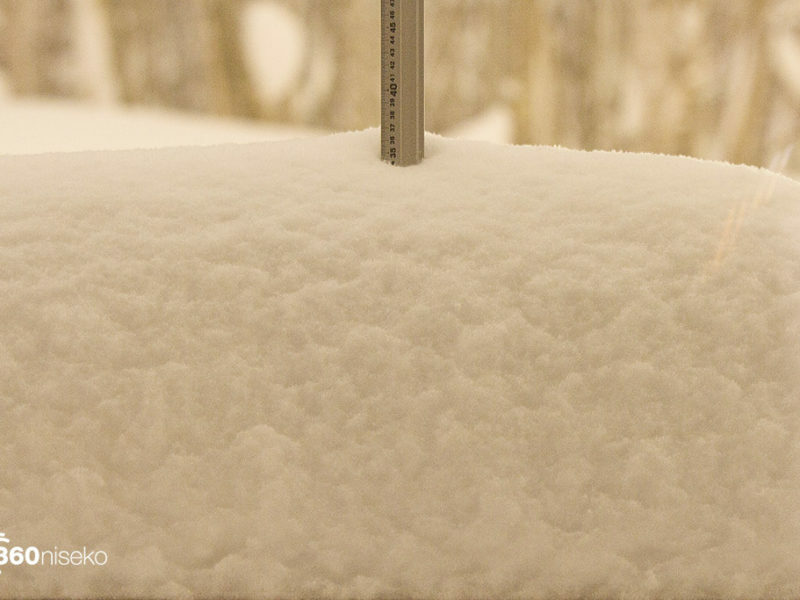 * 36 cm has fallen in the last 24 hours in Niseko. At 6:00 am today the temperature was -5.9 °C. Our stellar December just keeps marching forward and the last 24 hours has seen one of the bigger snowfalls of the 2017/2018 season so far. 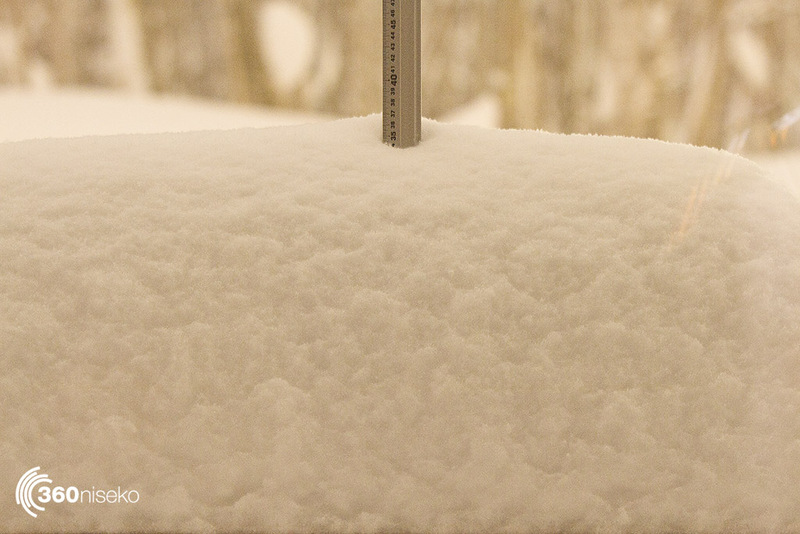 This pile of pow is now on top of yesterdays and the day before’s piles and it’s safe to say we are fully loaded. Today will be an important day of riding for a couple of reasons. 1. There is over a foot of dry light blower and 2.the features are going to start going under soon. One of the things a place like Niseko has to deal with is disappearing features. So that great pillow line you have been hitting for the last week may have now disappeared as it goes under the snow and a new one will have formed that you have to hunt out. Todays mountain will be a lot different to yesterdays. Good day for a bigger board and the widest skis you have. It’s not super cold though so the snow pack is going to have some bulk to it and all in all Textbook powder-day. If you plan to venture outside the resort boundries please check the avalanche report … there is a LOT of snow out there. 360 Tip #4. Make sure you hit the flat areas with lots of speed today. It’s still snowing so jump on the live feed of Hirafu Zaka at the bottom of the page to check it out.